Star Wars R2-D2 Coffee Press - What's Goin' On In The Kitchen? This fully licensed Star Wars R2-D2 Coffee Press is just the device to help you use the force no matter how tired you are on a morning. 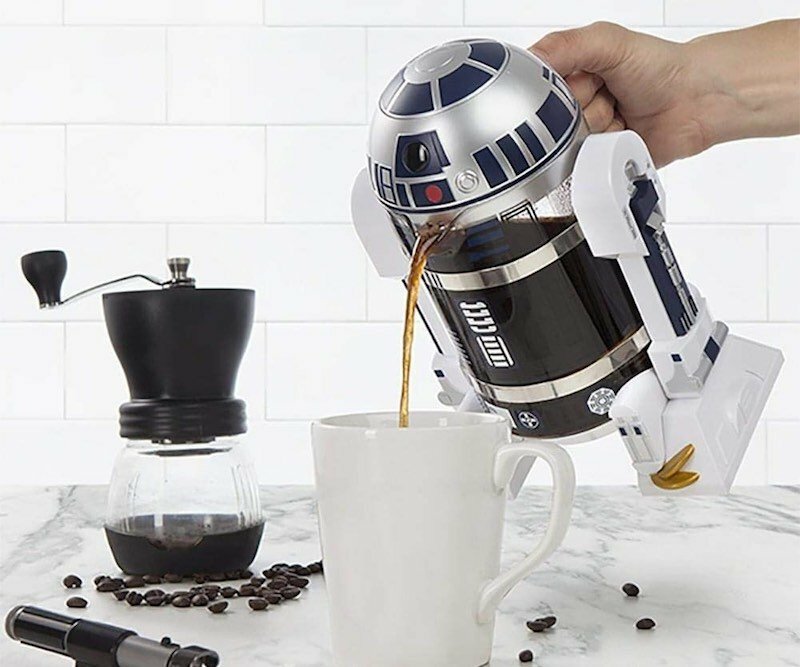 With capacity for 4 cups of coffee, this unique coffee press is an officially licensed Star Wars product. Made from BPA-free plastic housing, a glass body and stainless steel filter assembly, this is not only extremely quirky, but extremely well made too. This Star Wars coffee press would make an ideal gift for Star Wars obsessed coffee drinkers everywhere. If you love this then you should check out some of the other cool drinking accessories I found.